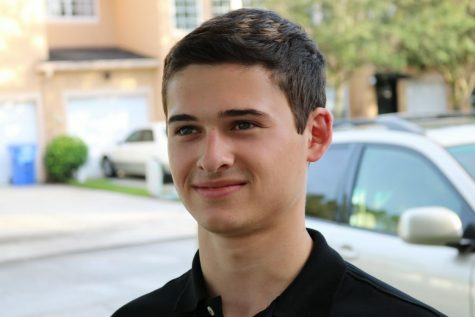 Drew Meyerson is a senior at Freedom High School. Drew is actively interested in many sports, especially hockey, and is an avid Lightning Fan. Drew also enjoys playing guitar in his free time, and will occasionally play at open mics. When he is not playing guitar, Drew is usually hanging out with friends, reading, or exercising. In addition, Drew frequently attends the school's academic and sporting events, and plays an active role in his community.